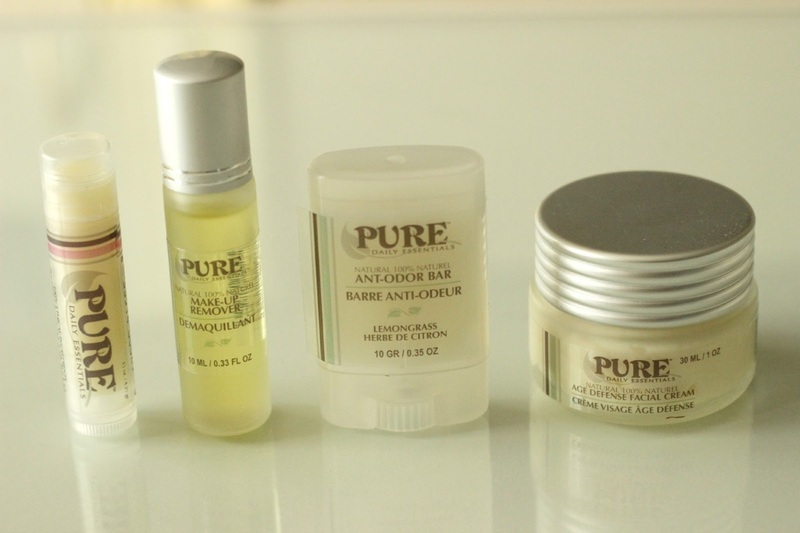 I'm a big supporter of natural products and small businesses, so when I found out about Pure Daily Essentials, a family based skin care company located in Langley, BC, I of course couldn't resist trying them out. They have quite a few items in their line ranging from facial care, hand and body, shower and bath and even baby specific products, all handcrafted and safe for the skin to absorb as they are 100% chemical free. Their ingredient rating can also be found on the EWG website here. Today I will be sharing my thoughts on their Make-Up Remover*, Age Defense Facial Cream*, Anti-Odor Bar in Lemongrass* and Bubble Gum Lip Balm*. The Make-Up Remover (50 ml, $16.95) doubles as both an eye makeup remover and a dual cleanser for the rest of the face. The no-rinse formula removes even the most stubborn makeup with the help of a cotton pad. It is very gentle on the skin and has a nutty scent, containing sweet almond oil, olive oil and lavender, among other natural extracts. 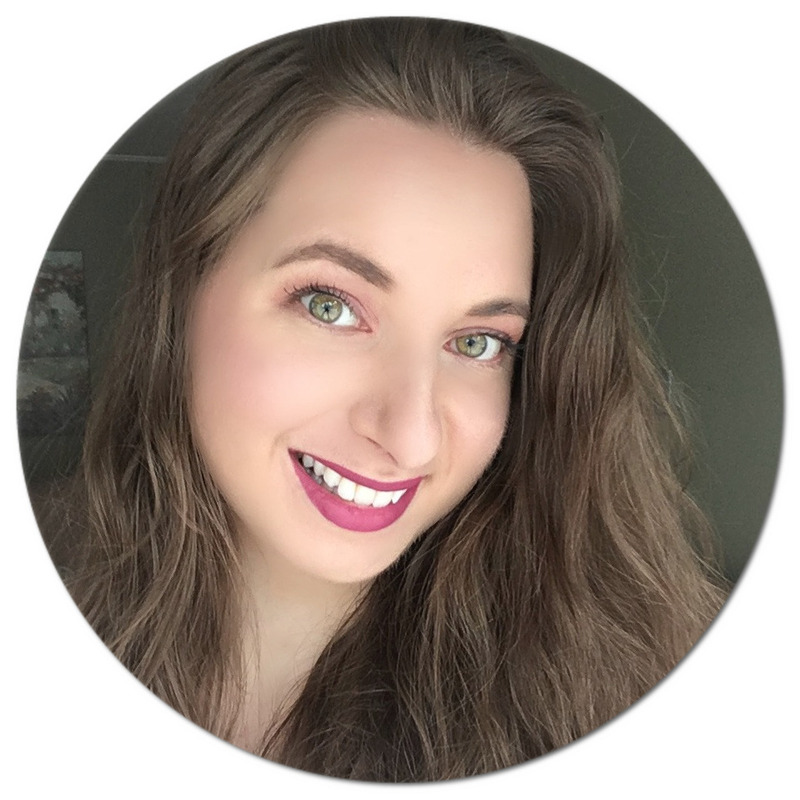 I've been sticking to coconut oil for the last few years to remove my eye makeup, so it has been nice trying an oil blend that provides similar results. The Age Defense Facial Cream (30 ml, $32.95) is a thick, balm-like daily moisturizer made with heaps of soothing and hydrating ingredients that work to bring that youthful glow back to the skin. Packed with rich oils from coconut, sunflower, carrot seed, sandalwood, and ylang ylang, as well as other skin-friendly extracts such as aloe vera juice and chamomile flower, this cream leaves my skin feeling plump and smooth. Since it is on the thicker side and leaves an oily residue that takes a while to absorb, I've been using it nightly. It has a strong natural scent, with the beeswax and citrus oil taking over. 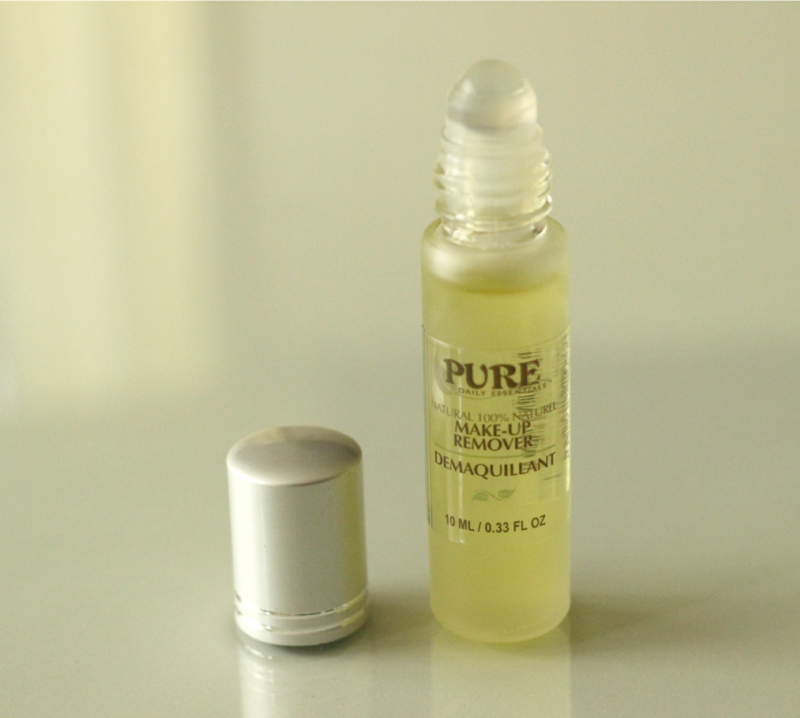 If you deal with dry skin, this little gem will do wonders. 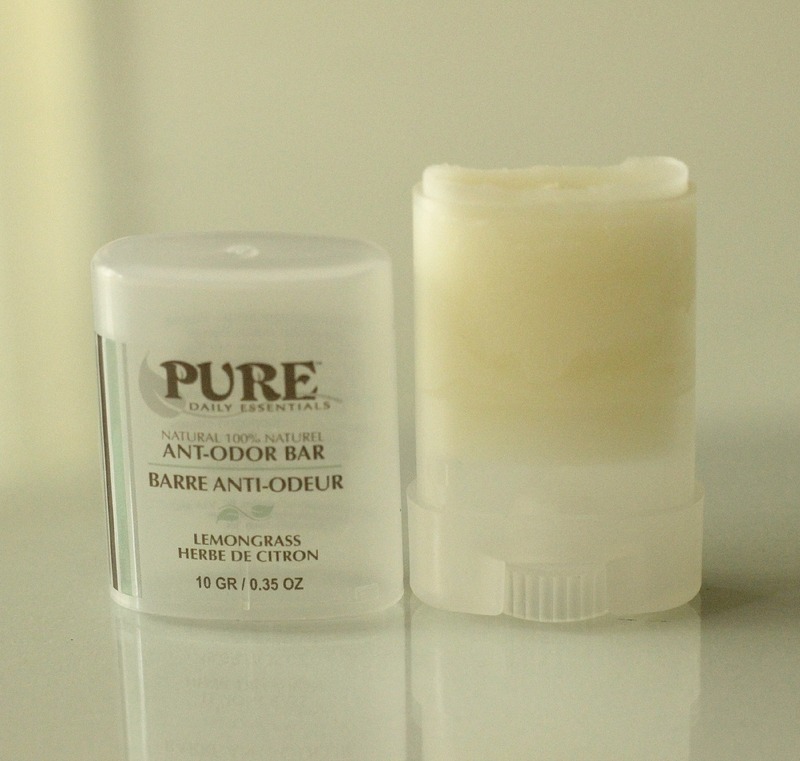 The Anti-Odor Bar in Lemongrass (75 g, $14.95) has to be the best natural deodorant I've ever used. I've tried quite a few in the last year but none have worked as well as this one. Whereas the others I would have to reapply throughout the day, this one is long-lasting and holds through even the most rigorous physical activity. Containing ingredients such as sweet almond oil, coconut oil, lemongrass oil, rosemary oil and chamomile extract and being free of paraben and aluminum, this is a safe and effective option for anyone looking for a greener alternative to those chemical-laden commercial antiperspirants. The Bubble Gum Lip Balm (4.25 g, $6.45) is a beeswax lip balm containing 100% ethical and cruelty-free ingredients. It also contains sweet almond oil, coconut oil as well as birch oil and vitamin E. I am not the biggest fan of the bubble gum scent, so if you are like me they also make one that is peppermint flavoured. This one provides long-lasting results and as opposed to conventional lip balms, you won't need to reapply a new layer every hour. If you are dealing with never-ending chapped lips, this is what you need. 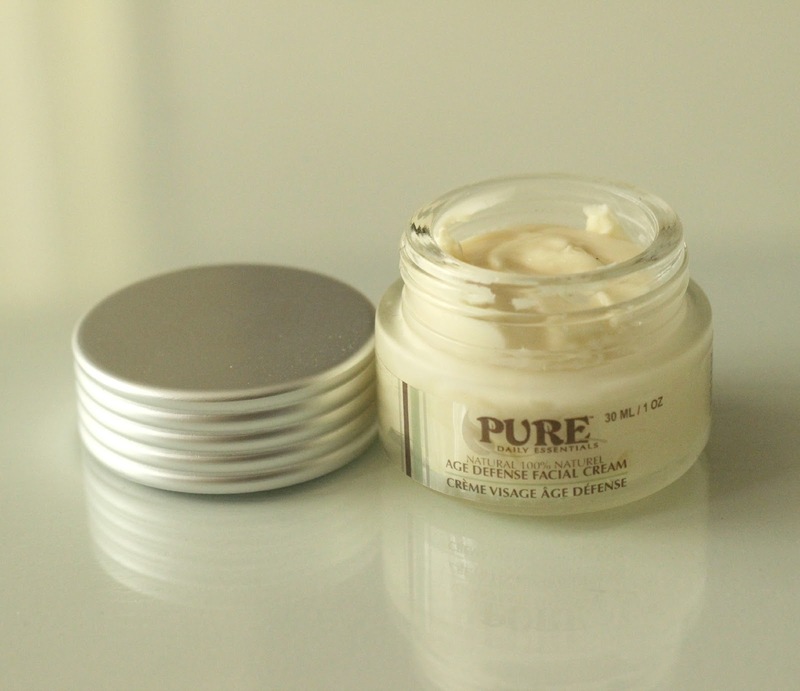 Overall, I am super impressed with the Pure Daily Essentials brand and would highly recommend giving their products a try. Who knows, maybe you will find a new favourite, like I have with the Anti-Odor Bar! This sounds like it will give Burts Bees a run for its money. This brand seems amazing and I am very curious about their makeup remover, it looks and sounds amazing. Sounds amazing! Haven't heard of this brand before, I'd love to try the facial cream.